2018 MASB Artist Travel Prize winners announced! The Baltimore Office of Promotion & The Arts (BOPA) and the Municipal Art Society of Baltimore City (MASB) announce Erin Fostel and Erick Antonio Benitez as recipients of the Municipal Art Society of Baltimore City Artist Travel Prize. The MASB board of directors awarded a $6,000 prize to two Baltimore-based visual artists for 2018. Fostel and Benitez were selected from a highly competitive pool of applicants. The prize is intended to function as funding for travel essential to an artist’s studio practice that an artist may not otherwise be able to afford. The third edition of the Municipal Art Society of Baltimore City Artist Travel Prize is managed by Baltimore Office of Promotion & The Arts, and sponsored by the Municipal Art Society of Baltimore City. Fostel will use the award for a three-week trip to Japan, where she will research and draw. The artist plans to focus on the cities of Tokyo and Hiroshima and surrounding areas. Her concentration will be on urban architecture as well as the architecture, rites and rituals of Shinto, a main religion in Japan. Benitez will use the award to conduct research on the Amazon city of Iquitos, exposing him to a vast biodiversity landscape and the native culture. The project will be a lasting source of material for his practice, including sound field recordings, video footage, photographs, drawing studies and found objects. Erin Fostel’s interest in drawing and storytelling led her to the Maryland Institute College of Art (MICA), where she graduated in 2014. Thereafter, she continued to explore visual storytelling through drawing. 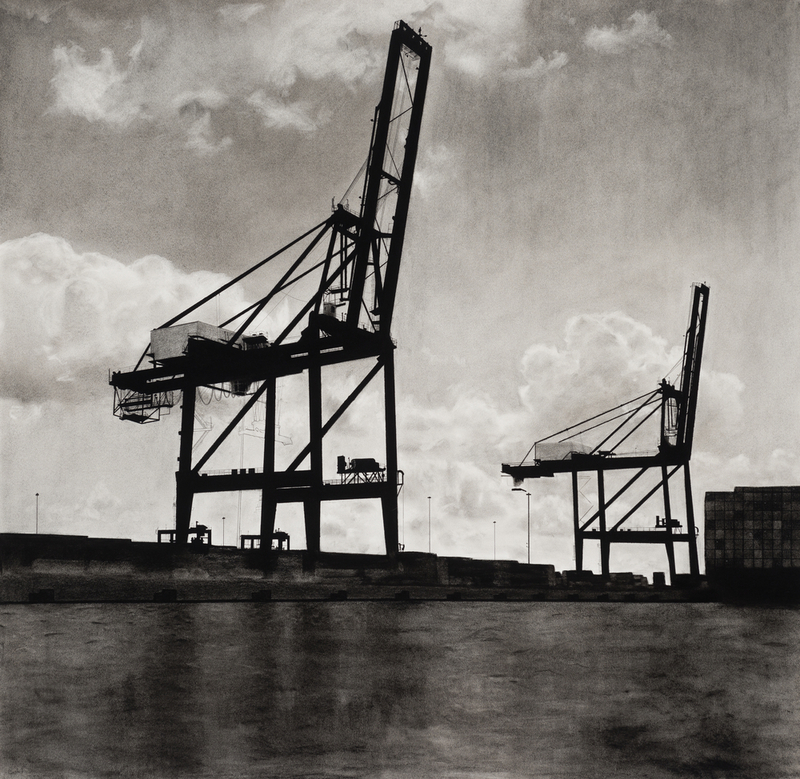 In her drawings, she pushes the tonal boundaries of charcoal, which is her primary medium. Her work has been included in local and international publications about drawing. Her studio is located in Baltimore. Erick Antonio Benitez received a BFA from the Maryland Institute College of Art. The multidisciplinary artist has exhibited internationally, including CONNERSMITH, Washington, D.C., Baltimore Museum of Art, Greenpoint Gallery, Brooklyn, New York, and Metàfora Studio Arts, Barcelona, Spain, in addition to private collections. His works of art have also been reviewed by regional and national publications. 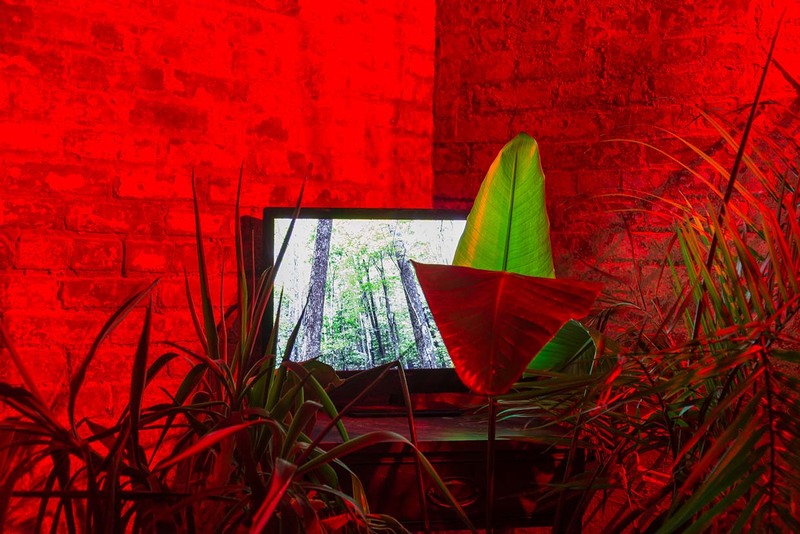 Benitez has been a recipient of a Ruby Artist Project grant; The Contemporary: Grit Fund 2; Y.L. Hoi Memorial Award, Janet & Walter Sondheim Artscape Prize, and a residency at the Studios at MASS MoCA. The Municipal Art Society of Baltimore was founded in 1899 as part of the City Beautiful movement. It is one of only two remaining societies to be operating under its original charter “to provide sculptural and pictorial decoration and ornaments for the public buildings, streets and open spaces in the City of Baltimore, and to help generally beautify the City.” Artistic contributions to the City span more than one hundred years. In 2016 the MASOB embarked on a path to provide new opportunities to Baltimore artists and art places within the City, including this Artist Travel Prize and an annual Public Art Prize. 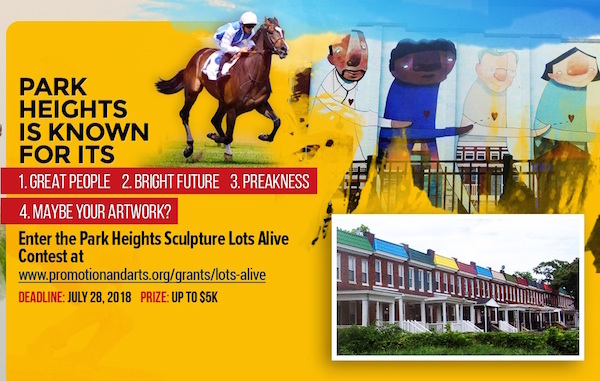 The Baltimore Office of Sustainability’s Green Network, in partnership with the Baltimore Office of Promotion and the Arts, is hosting a sculpture contest for seven vacant, city-owned lots along Park Heights Avenue in the Lots Alive contest. The winning sculptures will be eligible for grants up to $5,000 and the deadline for submission is Saturday, July 28. The seven winners will be installing temporary outdoor sculpture on city-owned, vacant lots along Park Heights Avenue. All projects will need to be installed between Sept. 22-Oct. 5, 2018. Projects must be removed by Saturday, Oct. 5, 2019. 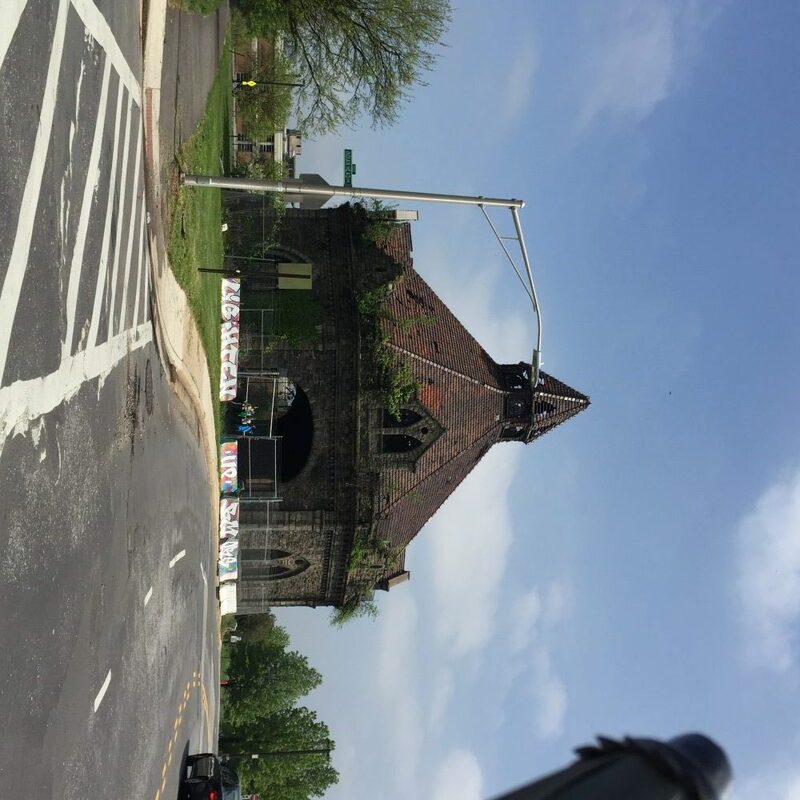 These visual art projects will be designed to enhance and beautify the community as well as bring visitors to the Park Heights neighborhood. This RFP is open to artists, designers, architects, and community residents over 18 years of age and living in Baltimore City. 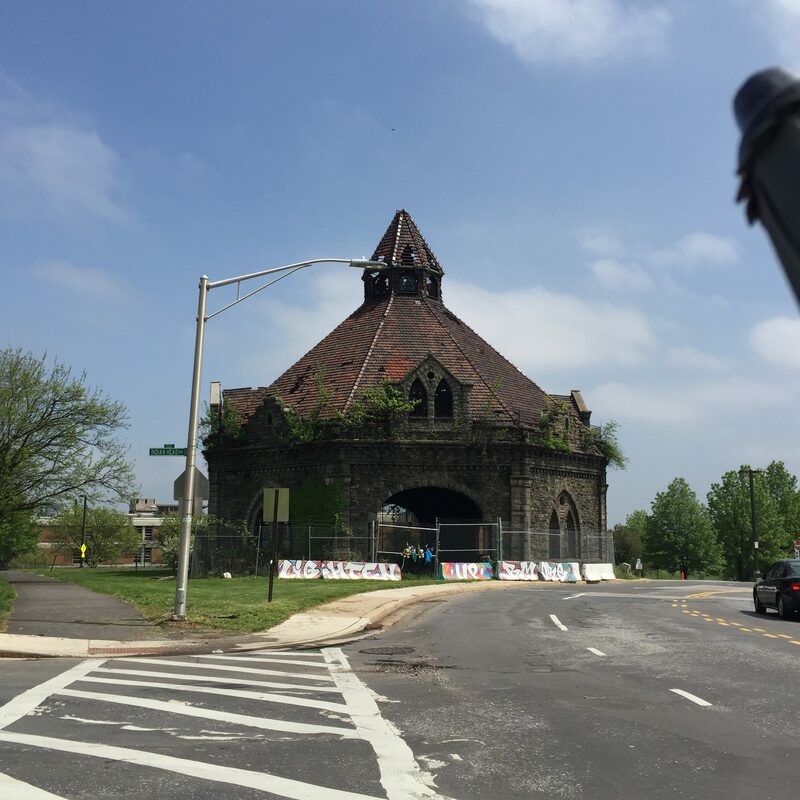 To apply, artists must create an online account and upload their proposal at https://promotionandarts.submittable.com/submit/46445/2018-lots-alive-request-for-proposals-for-temporary-public-art-in-vacant-lots. For more information, go to http://promotionandarts.org/grants/lots-alive. For more information, please contact Chris Brooks at Baltimore Office of Promotion or cbrooks@promotionandarts.org and The Arts at 410-752-8632 or Kim Knox, Greening Coordinator at 410-396-5902 or kimberley.knox@baltimorecity.gov. The Schuler School of Fine Arts is hosting its 9th Annual Juried Animal Exhibition: From Fur To Feathers in March 2018. The theme for the exhibition is animals — an animal must take visual precedence in the composition. The quality of the work will take precedence over the subject. Any original, representational, two dimensional work in the mediums of oil paint, pastel acrylic, watercolor, ink, pencil or scratchboard and wall-mounted sculpture relief or in the round under 40 lbs will be considered. 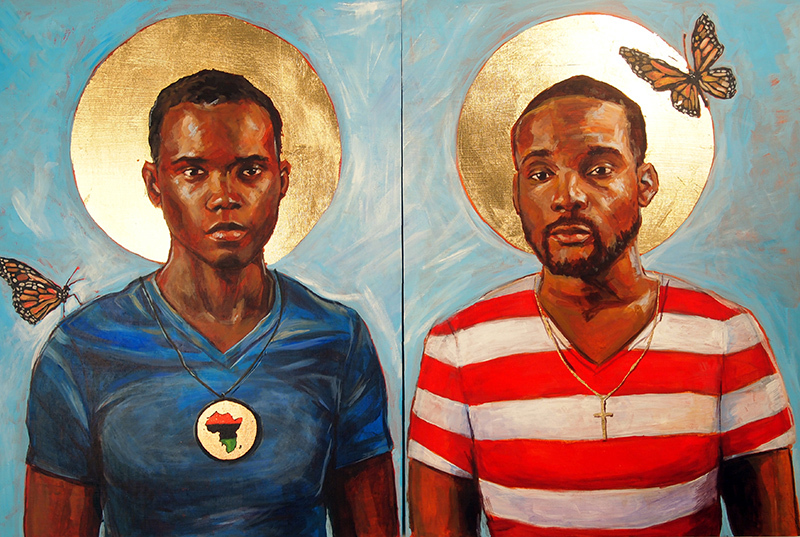 The Municipal Art Society of Baltimore City and the Baltimore Office of Promotion & The Arts are happy to announce the recipient of the first annual Municipal Art Society of Baltimore City Artist Travel Prize, Stephen Towns. Stephen was selected from a highly competitive pool of applicants and with this $6000 award will take his first trip abroad to Ghana and Senegal to visit important historical sites that mark the transatlantic slave trade. Images and research from this trip will inform a future body of work exploring the history of colonialism and its effects on modern society. 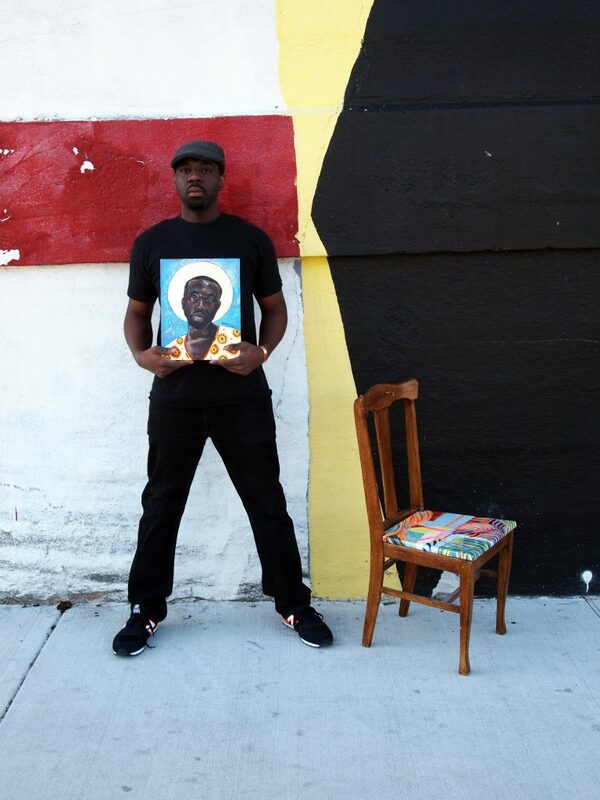 Currently, based out of Baltimore, Maryland, visual artist Stephen Towns was raised in Lincolnville, South Carolina, a small town outside of Charleston. 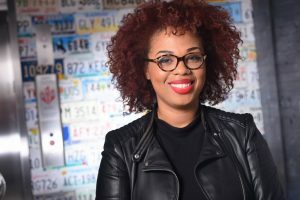 Towns earned a BFA in Studio Art from the University of South Carolina and works at Maryland Institute College of Art (MICA). Working primarily in oil, acrylic, and fiber, Towns draws much of his visual inspiration from Medieval altarpieces, Impressionist paintings and wax cloth prints. His work has been exhibited at Gallery CA, Platform Gallery, Hood College, Galerie Myrtis and is in the collection of the City of Charlestown, South Carolina. The Baltimore Office of Promotion & The Arts, Inc. (BOPA) is proud to announce the first edition of the Municipal Art Society of Baltimore City Public Art Prize, sponsored by the Municipal Art Society of Baltimore City (MASOB). The Municipal Art Society of Baltimore was founded in 1899 as part of the City Beautiful movement. It is one of only two remaining societies to be operating under its original charter “to provide sculptural and pictorial decoration and ornaments for the public buildings, streets and open spaces in the City of Baltimore, and to help generally beautify the City.” Artistic contributions to the City span more than one hundred years. In 2016 the MASOB embarks on a path to provide new opportunities to Baltimore artists and art places within the City. This prize will award $30,000 to a visual artist or visual artist collaborators, living and working within 100 miles of Baltimore City. 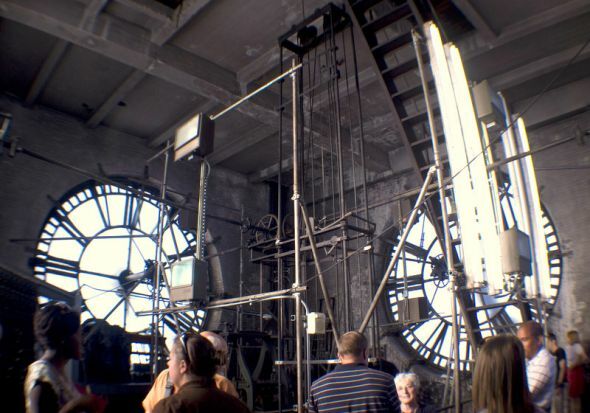 Some of society’s most passionate people inhabit the Bromo Seltzer Tower. Those people are our artists. David Ehlers is one among the select artists who rent studio space in the Bromo Tower. David is also a husband, a father, and a retired businessman. In fact, he was the advertising manager behind the Duracell battery brand. David’s life journey has provided him with a variety of experiences and has allowed him to travel to many places like Germany, Australia, and Italy. It is in Florence, Italy, where he saw the Palazzo Vecchio, the structure after which the Bromo Tower was modeled. When he was ready to stop traveling and pursue his interest in art he chose Baltimore. His first reason for his move was to be with his wife who lived here, and second, to attend MICA to study fine arts. 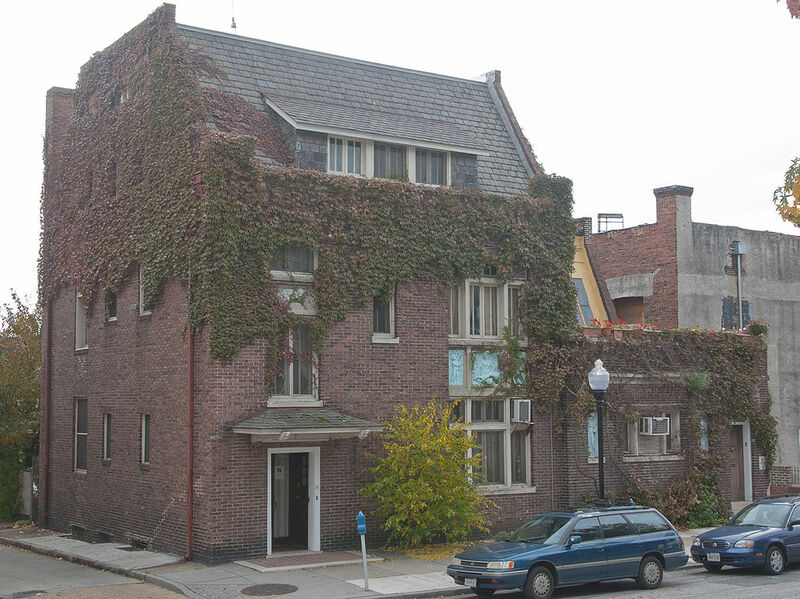 The Bromo Tower offers its amenities to various types of artists. There are writers, photographers, digital artists, videographers, architects, fiber artists, and sculptors. The tower hosts events like open mic nights and presentations that involve projections and various performances. The tower allows its intimate spaces to be used for music performances, spoken word, teaching spaces, and more. David says, “When you are asked for directions you just tell them to ask where the clock tower is or the Bromo Seltzer Tower, and people are directed to 21 S. Eutaw Street, at the intersection of Lombard Street. It is also an ideal place to meet clients and to be noticed.” Even if art is not something of particular interest, there is so much history behind the tower. There is a museum room that has historical written pieces, photos, and products relative to the tower and the life of Captain Isaac Emerson. The amazing journey through the life of Emerson is a narrative worth anyone’s time. During a trip to the tower you can see a presentation on how Emerson grew up poor in Baltimore and went on to become a successful businessman with his own patent blue bottle for his product. You can even purchase one of the historic blue bottles to take home and be able to share the story with your friends and family. Despite his experience being in the tower during the 2011 earthquake, David suggests we celebrate the tower renovations with fireworks. David can’t wait for the renovations to be complete. The tower will have its first cleaning in over 100 years and have a new face, and the clock will function again. Walking around Downtown Baltimore, one can always get a nice view of the clock tower. Though, as a photographer, David thinks the best views are by Camden Yards, walking down Lombard Street, or when you’re entering the city from Route 395. Once the renovations are done, David will create new works in and outside the clock. 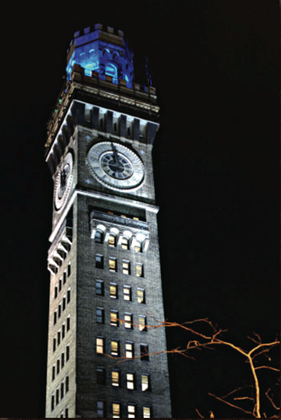 The Bromo Seltzer Tower will continue to inspire and intrigue Baltimore artists and citizens with its status as a national and city icon, its fascinating history, and the fact that it is a beautiful piece of architecture reminiscent of a medieval castle. David remarks, “Those who come [to the Bromo Tower] are very important. I think it’s a growing opportunity for a new artist because you have the chance to hear what people really have to say and what they understand art to be, and that’s always a big question.” As a guest, you don’t have to coordinate visiting hours with the artists to explore this world of art. Visitors are able to take the elevator or the stairs up to the top, and view artist studios and work on all levels. There are 15 floors in the Bromo Seltzer Tower and intriguing, thought-provoking art is exhibited on the walls in the common area, outside and inside each artist’s studio. You can buy and take a piece of art home or you can just enjoy the walls of expression and inspiration.